Throughout the history of the 20th century, manufacturers understood the simple concept of economies of scale and volume discounts. 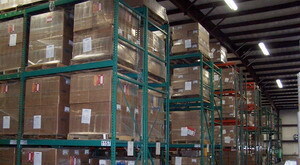 If a specific part was needed to manufacture a product, you bought that part in bulk to decrease unit costs. Along with this was the knowledge that you must always have parts on hand in order to keep the manufacturing line going. All sorts of “sciences” were built up around these two notions and they are still followed in many places today. Thousands of people made extremely good livings solely because they understood these two concepts and were able to implement them efficiently. Then, in the 1980’s, two radical ideas came to us from Japan, Just In Time (JIT) inventory practices and Lean manufacturing. The basic concepts of these two philosophies are that manufacturing companies should have MINIMAL amounts of parts on hand and that deliveries of these parts should be tied to the actual production schedule. This was BLASPHEMY !!!!!!!!! Any first year college student could explain that you wouldn’t enjoy economies of scale under this method. Unit costs would go up. Production would be spotty due to lack of parts on hand. Many extremely educated individuals were quick to point out these problems and went to great lengths to explain why JIT and lean Manufacturing JUST COULDN’T WORK. Now, at this point we could look into the actual details to see why JIT and lean manufacturing actually DO work and why most successful manufacturing companies have switched over, but that will be saved for some other time. The important thing to realize is that all those really educated people were WRONG in their denunciation of JIT and lean manufacturing. Dead wrong. Now, how could these educated people have been so far off target you might ask? The answer is simple. They were opinions were based on flawed assumptions that were grounded in the systems that they had spent all of their lives learning about. They were actually focusing on the wrong things when they made all of their calculations. When you calculate all of these hidden costs, you will see that you actually LOSE money by buying in bulk quantities. Ok, time to get back to the smart people and to tie this in to the current war. Yes, there are some extremely smart retired Generals (and active duty also) who are sitting on television explaining to us that we don’t have enough troops in Iraq. What underlying assumptions or ideas bring them to this conclusion? For many years, the assumption was that if you are facing an army of X strength, then you need to field an army of Y strength. There is no other way to do it. This method is tried and true and is the orthodoxy that we followed back during the last Gulf War. But, a new line of thinking has come to light. Say that the army we will be facing is 400,000 men strong. The actual overall number really isn’t that important. The real question lies in WHERE are these troops positioned? And how quickly will they be able to relocate troops to reinforce other positions? To illustrate the logic here, I must refer back to an old fable concerning the notion that in unity there is strength. Say that you walk through your yard picking up small sticks. They are each about 1/2 in. in diameter and a foot long. You pick up 20 of them. Now, if you put them into a bundle and then try to break them, what will be the result? The result is that you will expend a lot of energy and then reach for a saw to cut them. But, what happens if you undo the bundle and break each stick individually? You will end up with a bunch of broken sticks fairly quickly. Tying this back in. If one goes against a force of 400,000 massed, then of course, you need to bring in enough to face them. However, if those 400,000 are dispersed, then you can come in with a MUCH SMALLER FORCE and still do the job handily. Couple this with an extremely dominant and accurate implementation of air-power, and the table is set for victory. The reason that I believe these generals are mistaken is that they are stuck in the orthodox methods that they were schooled in and they fail to understand that the paradigm has changed. Just the same as many out of work inventory managers who failed to understand the benefits and ramifications of JIT and Lean Manufacturing.